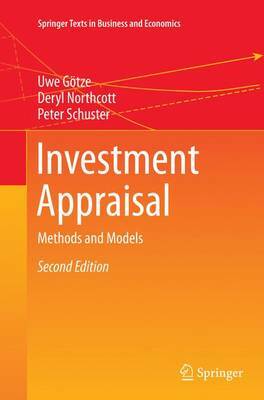 This book provides an introduction to investment appraisal and presents a range of methods and models, some of which are not widely known, or at least not well covered by other textbooks. Each approach is thoroughly described, evaluated and illustrated using examples, with its assumptions and limitations analyzed in terms of their implications for investment decision-making practice. Investment decisions are of vital importance to all companies. Getting these decisions right is crucial but, due to a complex and dynamic business environment, this remains a challenging management task. Effective appraisal methods are valuable tools in supporting investment decision-making. As organisations continue to seek a competitive edge, it is increasingly important that management accountants and strategic decision-makers have a sound knowledge of these tools.